Language Boat is a blog about language learning in natural environments. Here you will find my personal narrative about my own language learning experiences, in addition to tips, ideas, technical stuff like grammar, pronunciation, etc., cultural observations, and language resources. Language learning is central to who I am and what I do in my life. I lived in Mexico from 1997-2001 and learned Spanish while living there. I am now living in Taiwan learning Mandarin Chinese. I love learning languages for a variety of reasons. I enjoy the brain work and challenge of language. It’s like solving a riddle or cracking a code. I also love gaining first hand access to other cultures and people and expanding my worldview and understanding of the human experience. Learning languages also offers new ways to think and express myself, and I love that part too. Other things I love include, but are not limited to: art (I paint), flying (I’m learning), hiking, yoga, and fashion. I was born and raised in a California beach town, and my first language is English. My intention for Language Boat is to create an archive of my language learning story, to chart my progress, share my discoveries, and have a place to geek-out on technical stuff like grammar. In addition, I hope to bring value to other language learners and together create a community that shares and learns together. Welcome to Taiwan. It’s great that I can find this blog accidentally. Would you mind if I put your site in my blog list? I’m also in Taiwan: 7 years now teaching English. How do you like it? Ni hao! 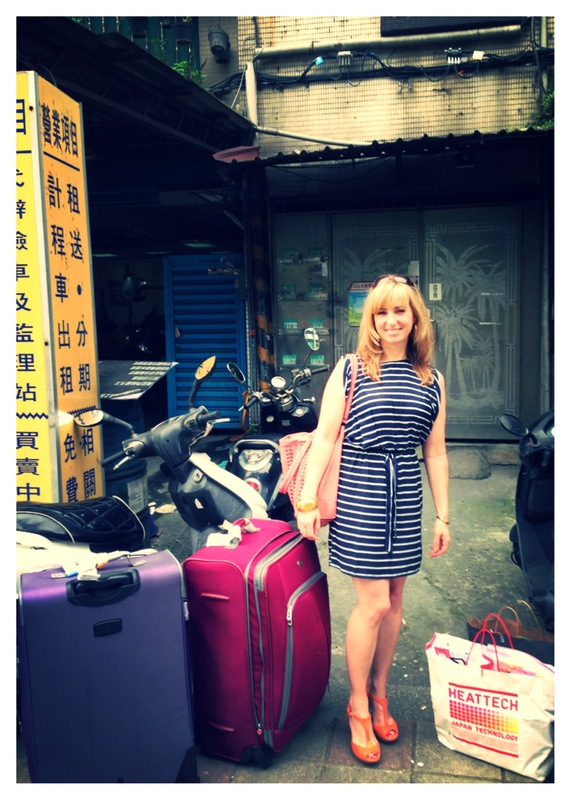 Firstly, I really like your blog – I’ve not been to Taiwan (yet) and your descriptions of life there are so interesting. Secondly, thank you so much for visiting and liking my blog; all I am doing is trying to show friends, and others in the west, China through my eyes. Many of those who travel to and through China are young – I am not. I am now 65 yrs old. I first came to China 20+ years ago, and it has changed a great deal. Now I have been living here for five years and feel that little by little I am getting under the skin (so to speak) of the country. Others may disagree with my views – so be it. Anyway, good to ‘meet’ you! Hola Amy, me gusta mucho tu Blog. Aun vives en Taiwan? Yo trabajo en Taoyuan y tambien trato de aprender Mandarin. Mucho gusto! Hola Amy, mucho gusto. Me gusta mucho leer tu blog porque yo tambien vivo en Taiwan (Taoyuan) y me identifico mucho con tus experiencias. Gracias!